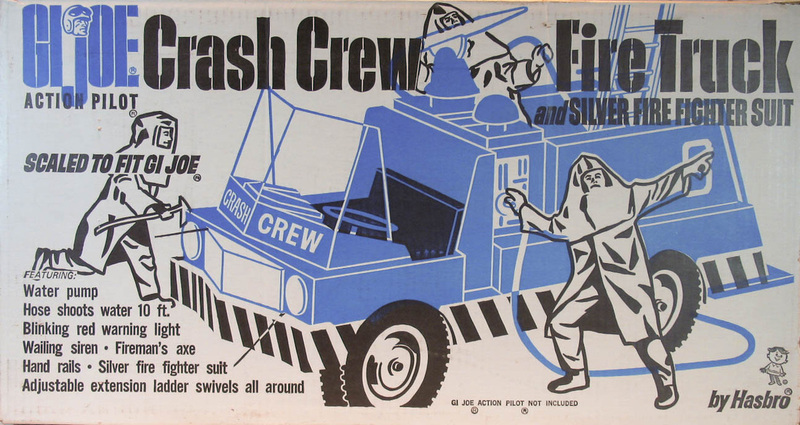 Possibly the coolest GI Joe vehicle, the Crash Crew Fire Truck (8040) was released in 1967. 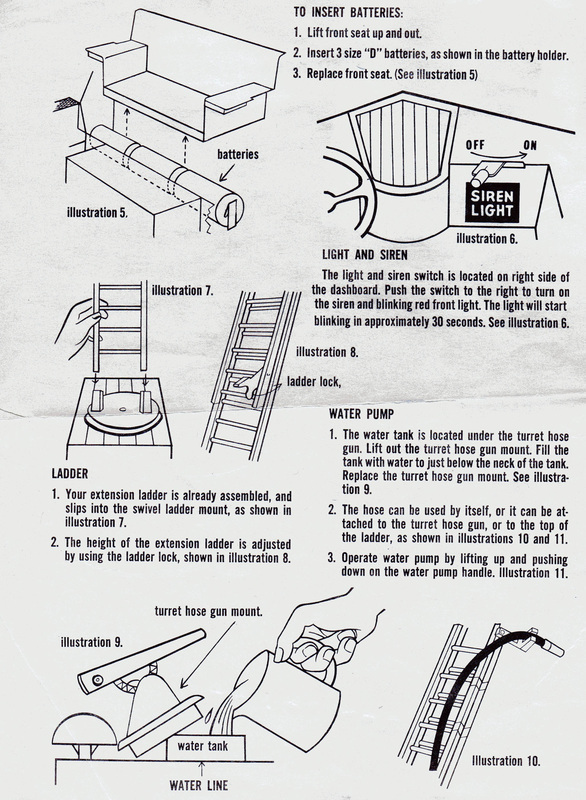 Between the working siren and light, working pump and water cannon that shoots water up to ten feet, and the extension ladder that reaches almost three feet there was a ton of play value here. There was also a lot to get broken, so the truck is hard to chase down in great condition. 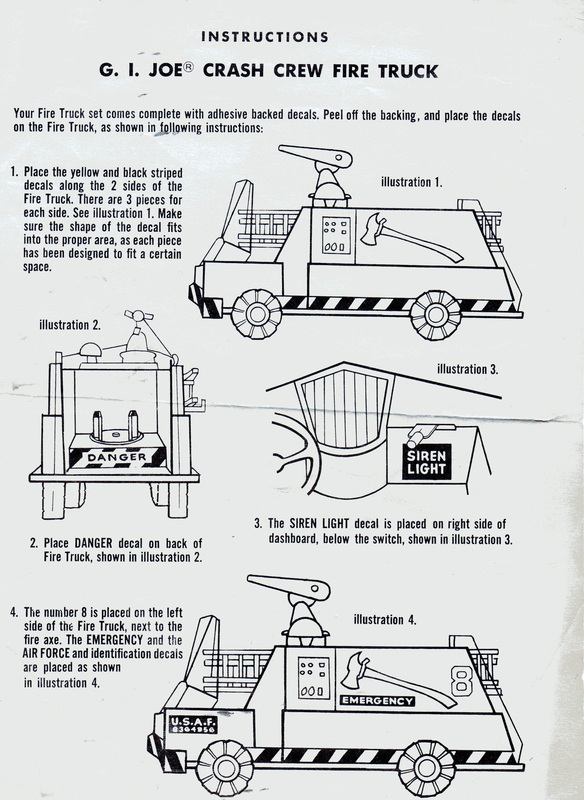 The box front and back. The front panel art is one of my favorites. Does it still exist out there? 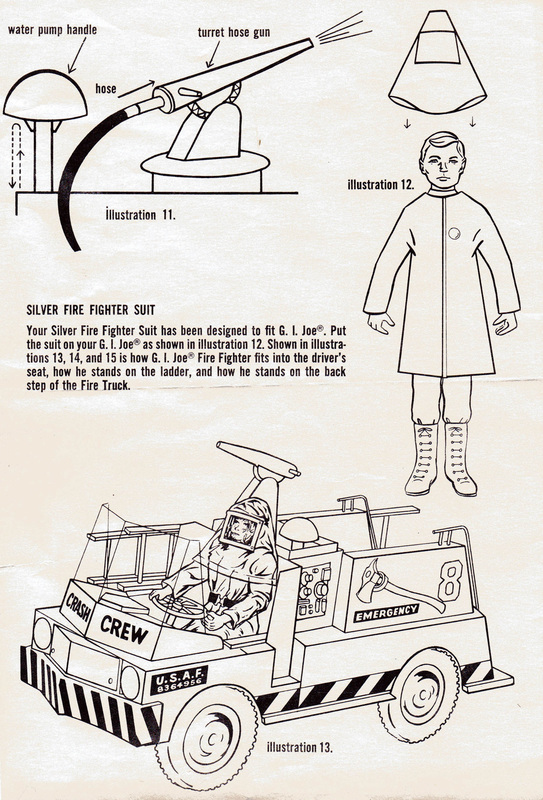 Compare the two silver fire suits in the spin above. 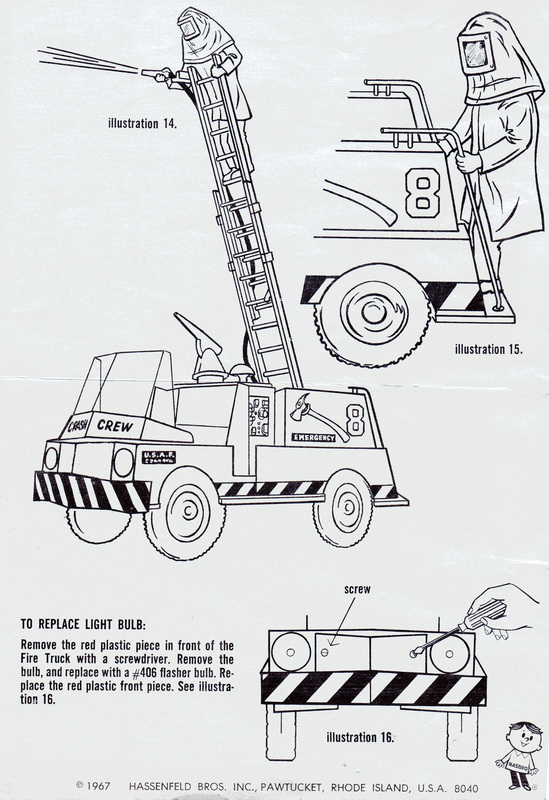 The one worn over an orange jumpsuit is the version that came with the truck, made of a cheap foil over plastic material with a single snap mid chest and clear window in the hood. 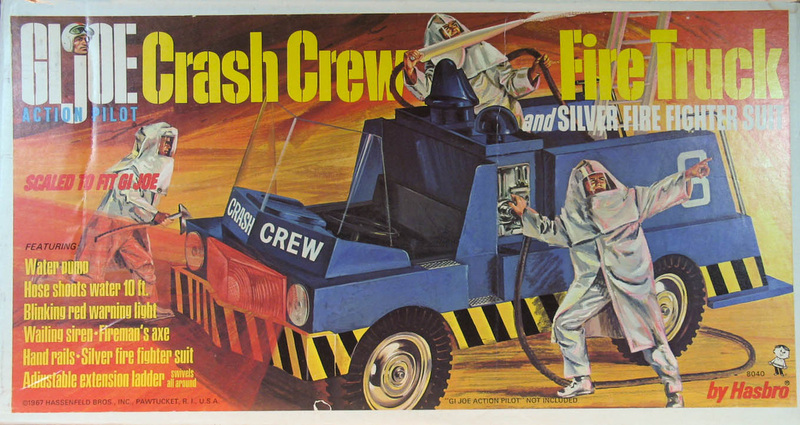 The fully silver suit with the red extinguisher is the Crash Crew set, a much more detailed item.